We make bold, flavorful meads to support the pursuit of unpretentious good times. Our specialties are dry cysers - mead-cider hybrids you never knew you needed. By the glass, by the growler, and in an ever expanding array of amazing cocktails. Visit our unique and and friendly tasting room, just south of downtown Bloomington, IN. First Date A cyser made with dates. Currently our most popular offering, First Date captured a Gold at the Indy International Wine Competition in 2013 and was designated Amateur Honey Wine Blend of the Year. First Date starts with a notable honey flavor, with a mention of cinnamon in the background. The addition of dates to this cyser present a round finish that invites another hearty quaff. HopBerry Blue –Blueberries, honey, and apple juice provide a foundation for this surprisingly dry cyser. But our friends the Centennial hops steal the show, offering a gentle bite that makes you wonder if someone slipped you a pale ale. 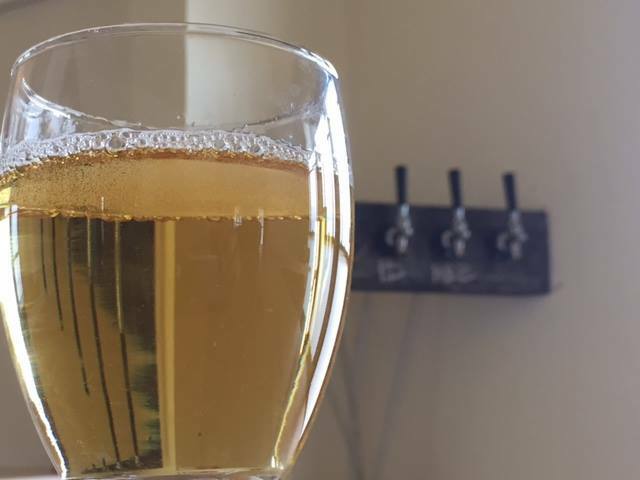 Cyser Punk — Ginger and cinnamon lead a medely of traditional cyser flavors. This is the Ginger drink the other Gingers all look up to. Think of the best Ginger Beer you’ve ever had. This is better. Won a bronze at the 2013 Indy International Wine Competition. Enzy’s Gold — We juiced a bunch of oranges for this cyser, and threw in the zest for good measure. The spiciness of cloves closes out this perfect night of cyser drinking. Won Silver at the 2014 Indy International. Location and Parking: We are located at 1211 S. Walnut on the east side of the street between Grimes and Driscoll 1 mile south of downtown and just a couple of blocks off the B-Line Trail. We have a small parking lot behind our building, alley access of both Grimes and Driscoll. Please enter with care. Oddballers are also welcome to park in the Action Reality parking lot on the corner of Walnut and Grimes after 5pm weekdays, and anytime on the weekend. There is also street parking on Driscoll and Washington. Please be mindful of neighborhood homeowners. We welcome walkers and bikers! Despite its ancient origins, Mead is an oddball drink. It defies traditional western alcohol categories. It isn't really wine, it isn't beer, and it is not a spirit. Chris Webber from the American Mead Makers Association has quipped: "Whatever you think mead is, it is probably not that." The lack of clear category makes it a pain for mead makers from a legal standpoint, but it is also what makes it so much fun from a craft perspective. Traditional categories have lots of rules, and mead simply begs you to break the rules. That's what we are trying to do at Oddball Fermentables. Part of our desire to tinker and experiment with meads - and cysers in particular - as well as cocktails is the fun that comes from discovering a new winning combination. But the other part is about slowing down and enjoying novelty and diversity. In brain science, there is a phenomenon called "The Oddball Effect" whereby we have a sense of time slowing down, or things taking longer, when they are a novel stimulus. We love this idea as it captures something essential about our mission: The pursuit of unpretentious good times. The Oddball Effect challenges the idea that time has to fly when you are having fun. The Oddball Effect literally "makes time." Email List- Sign up for email updates on new products, special promotions, food truck days and other Oddball news. Next to our meads and cysers, and our amazing team, the thing everyone loves most about Oddball is our unique tasting room. Our cozy space is a great spot to gather with friends or bring your work team together. Our tasting room is available for rent Mon-Wed 9am-11pm, Thurs/Fri 9am-4pm, Sunday 5-10pm. Groups are welcome to bring in food and additional non-alcoholic beverages.